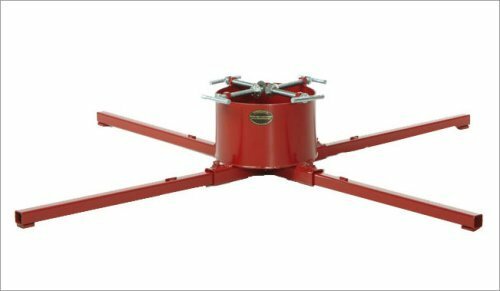 12XTS Features: -Supports trunks up to 12'' in diameter.-Supports trees from 13' to 20' tall.-Holds up to 4 gallons of water.-Unique T-bolt handles for easy tightening, straightening and easy set up.-Bowl weighs 44 lbs.-Legs weigh 22 lbs. Color/Finish: -Regal red color. Assembly Instructions: -*Note* This stand requires some assembly. Dimensions: -Shipping Box Dimensions: (Box #1) 15'' W x 15'' D x 11'' H (Box #2) 36'' W x 4'' D x 4'' H.